In 2018, labor struggles are once again brought to the forefront of world issues. Protests in countries including France, Iran, Jordan, the U.S and China highlight a ubiquitous demand proposed by the working class. In this article, we will further explore these events and their prospects. These were the parting words from the Prime Minister of France Alain Juppe as he stepped down from office during the 1997 elections. His departure was a result of a series of general strikes enforced majorly by the public sector. Under the presidency of Jacques Chirac, Alain Juppe grew proportionally unpopular as he enacted drastic welfare cuts and restricted access to reproductive rights. What followed was a social movement powerful and large enough to successfully paralyze France’s transportation infrastructure. Despite its inconveniences, railway workers, students, members of the private and public sector consolidated to cumulatively form 6 million strike days in 1995 as counted by the DARES statistical institute of the Ministry of Employment. More than 20 years later, we observe a similar activity transpiring but not just in France. 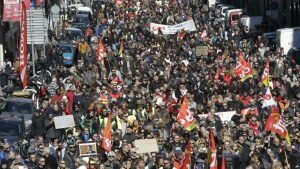 During late last year, France’s biggest trade union, the CGT orchestrated 4000 strikes and 180 protests against Emmanuel Macron’s plans for labour market reforms. Macron’s proposed plans aimed at making working conditions vulnerable to negotiation by company bosses. Moreover, compensation for unfair dismissal were to be retracted, further denying the worker’s agency. Tens of thousands of people from Nice, Marseille, Saint Nazaire and Caen took to the streets to make their discerning voices heard. Macron, however, pushed through with his reforms. The strikes and protests persisted as well hitting a milestone reminiscent of France’s 1995 labor protests where only 20% of high-speed trains were running as of March this year. The paralysis of a major component in a country’s infrastructure i.e transportation is a physical and symbolic testament of the workers struggle for recognition. In December 2017, mass protests broke out demanding an end to the Islamic Republic and its military interventions in Syria, Lebanon and elsewhere in the Middle East. These pretests have been preceded and followed d by protests by workers, women demanding their rights, farmers, teachers, nurses, retirees and students against Iran’s unjust ruling policies. More than 50% of the population which equates to roughly 41 million people live under the poverty line. Inflation is rising as the minimum wage of $200 (for a family of four) decreases and unemployment rate is estimated at over 40%. Considerably low wages, education cuts, constricted benefits and protection have forced teachers all over the United States to take a stand. ‘We are done being the frog that is being boiled.’ declared the teachers from West Virginia, Oklahoma and Arizona as they led a massive walk out earlier this May. Educating children and guiding them through their formative years is a position worthy of value. Yet a report by the Economic Policy institute showed that teachers earn 17% less than the comparable worker. 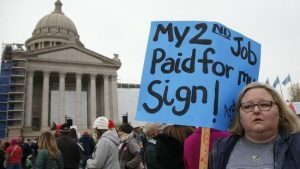 Resistance in the form of social media activism, sit-ins, demonstrations and strike actions resulted in a 5-20% percentage pay raise in some of the mentioned states. 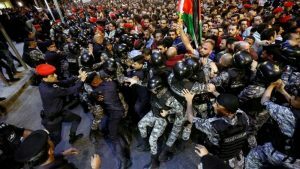 Jordan is seeing one of the largest protests in its recent history. Over 3000 people have recently gathered in front of the Prime Minister Hani Mulki’s office in protest of the government’s new reforms and rising taxes. The slogan reads: “the ones raising prices want to burn the country” as people struggle to purchase the basics of living necessities such as bread and gas. The average Jordanian citizen makes almost $5,000 a year. In contrast Amman is recognized by the Economist as one of the most expensive cities in the Arab world. This led to a growing frustration which escalated to widespread anger among communities and the formation of “Hirak Al Shaabi” or the “youth movement”. The uproar from the civil society, Jordan’s Engineers Association and Jordanian Teachers Syndicate was potent enough to cause the Prime Minister Hani al-Mulki to officially resign as of this month. Trade unions, however, have vowed to press on with their demands to repeal the new reforms. In China, the labor activist is likened to a “troublemaker” or someone who is calling for civil unrest as described by local authorities. Yet it is the worker him/herself who is actually experiencing the state of unrest. People do not have social security rights. They experience gender-based discrimination and are left without payment regulation. The period between 2013 to 2016 saw a drastic increase in activism in the form of labor strikes and protests. 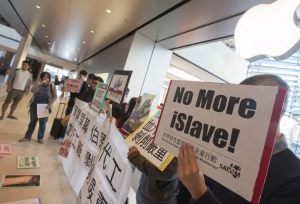 In response, the Chinese government intensified jailing protestors and expanding a civilian surveillance network. People everywhere are speaking out. As a matter of fact, people have already spoken. For years, the working class has been expressing a level of dissatisfaction with the mnadated system. A system which is designed to grant rights to a privileged few while sustaining a genuine global disenfranchisement among the rest. From education to railway stations, every position and service performed in our social structure deserves rights and recognition. Therefore, a fundamental change must occur in the way we perceive jobs and status. Are the CEOs, corporate bosses and ruling agencies willing to listen and accept a change that significantly reduces their privileges? I have a hard time believing so. This leads me to the following question: How effective are protests in producing a sustainable economic alternative for the worker? 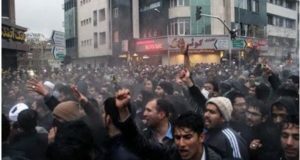 Granted these protests are cultivating results in some cases, such as the resignation of Prime Ministers or the release of Reza Shahabi, a worker leader and former political prisoner in Iran. However, are these protests enough to overturn the root of the injustice? In an interview, American author and anthropologist David Graeber suggests that the essence of protesting appeals to the ruling class and therefore plays in to the existing power dynamic. This might explain why these events happen in a “history is repeating itself” fashion. 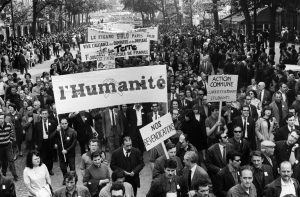 Beginning with the Paris Commune in 1871 to May 1968, to the strikes of 1995 to our current time, France’s timeline of workers’ revolt reveals a cyclical dialogue. That is, the worker demanding their rights reciprocated by action or inaction from the ruling class followed by idle time and then the cycle repeats itself. Perhaps the change we seek lies in attaining international solidarity while rejecting the legitimacy of this power structure.